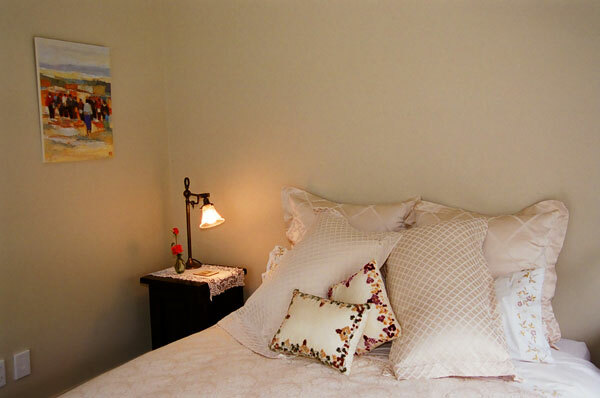 There are four comfortable bedrooms to choose from all tastefully furnished with quality bedding. Click the images below and scroll through for a closer look. 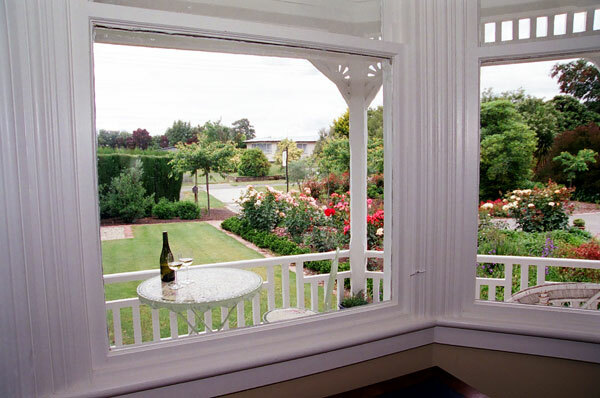 A queen bedroom with its own en suite, lounge and French doors opening out onto a deck and paved area containing a potager garden of herbs and citrus fruits. 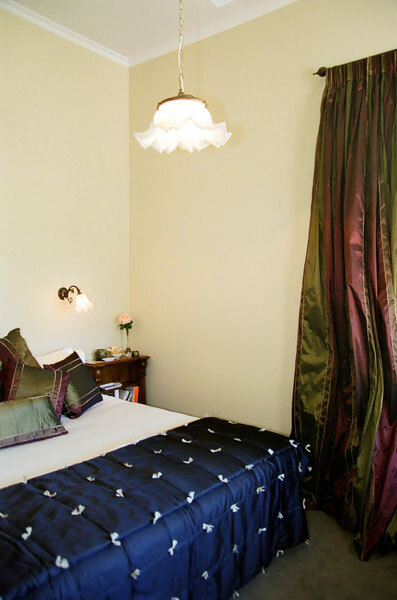 This king or twin bedroom with a shared bathroom, is a sumptuous retreat from the stress of travelling and offers guests a tranquil space in which to recoup their energy before engaging in the delights of exploration. 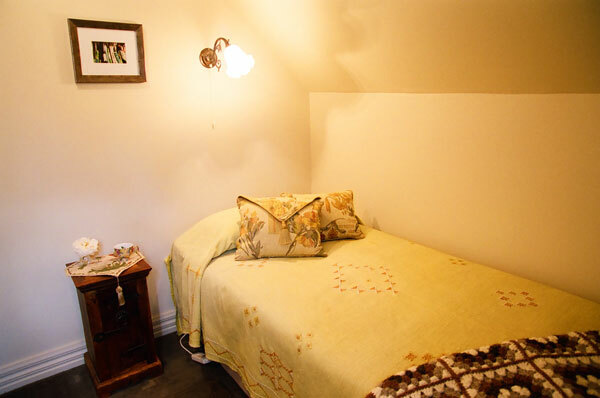 This queen bedroom upstairs with its own private en suite is secluded and has a magnificent four poster bed which invests the room with a country life theme. 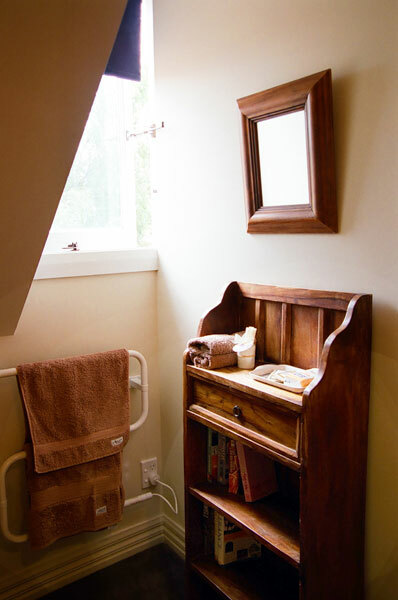 A cosy single room upstairs using shared bathroom. 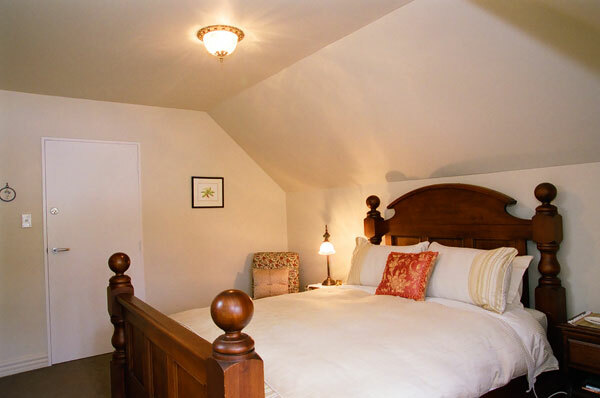 A spacious queen bedroom warmed by the afternoon sun, with lovely views to the Citrus Grove beyond the pebble patio on the west side of the house. 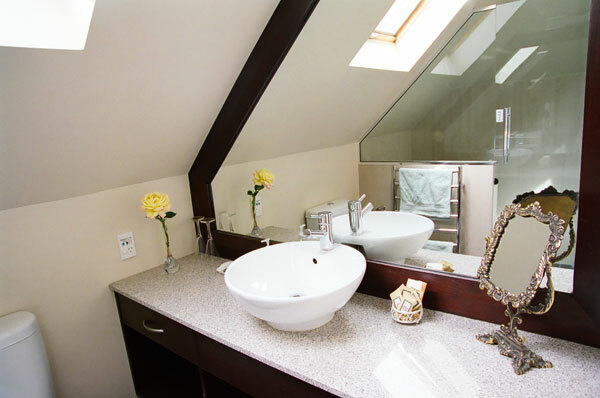 The shared bathroom facilities are conveniently located next door. A gourmet breakfast of your choice is served at the dining table overlooking a formal circular rose garden paved with bricks. Alternatively, you can enjoy a leisurely alfresco breakfast on the sunny veranda. 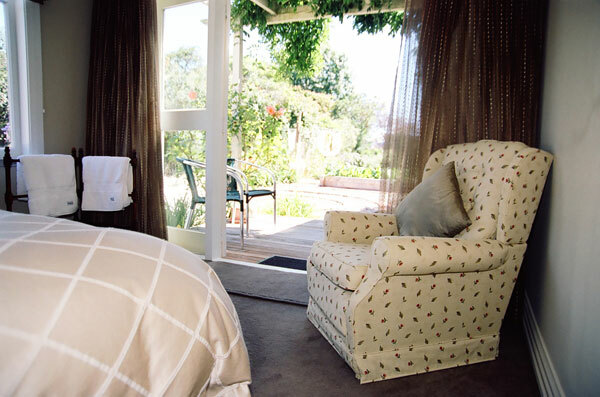 Click here to book your stay at Anglesea House & Garden Bed & Breakfast.